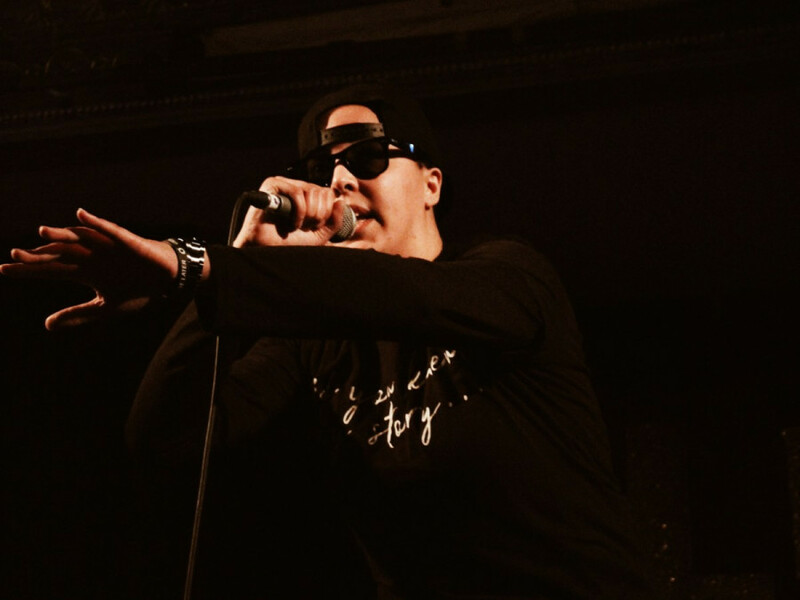 As the nocturnal art festival came to an end, Shades Lawrence, Montreal-based DJ, rapper, poet, and curator, successfully created a space where the musical talents and artistic performances by women of colour could shine bright and centred. On Jan. 27, Montreal women of colour mounted Casa del Popolo’s stage for Lux Magna. The spotlight showered over artists such as Janette King, Emma Maryam, Claudia Edwards, Shanice Nicole and Lawrence herself. Their songs and poetry occupied the dimly lit backdoor theatre the entire night. As the women emanated their voices, the crowd listened in moments of silence and of celebration. In the first act, performance artist Claudia Edwards knelt down and began rubbing brown sugar all over her hands. Eventually, her arms, neck, and rib cage were crusted over completely in brown sugar. The artist stepped beneath the stage light to present her thought-provoking artistic performance piece called Dumaruni. As part of her performance, she proceeded to wrap her sugared body parts in plastic wrap as if attempting to protect them from anything that would brush off the grains. During her performance, she fused poetry, movement, and sound to present her artful performance. In the end, Edwards served members of the audience sliced mangoes sprinkled with pepper and brown sugar. While they were invited on stage to take a slice, they had to read quotes that she provided, out loud. “I usually tend to highlight traditionally underrepresented communities,” said Lawrence. As a hip-hop artist, poet and curator, Lawrence made it her mission to expose talents that she connect with the most. “Those with a history of mental health challenges, Black-Indigenous people of colour, women, and non-binary folks ‘cause those are all identities that speak to me and that I identify with,” she said. Next, Lawrence passed the microphone to emergent singer-songwriter Emma Maryam. The 19-year-old siren strummed her guitar as she sat on a centered stool sporting pink velvet socks. Throughout the rest of her set, her fingers and voice lulled the audience with her music. As a feminist poet, Nicole explores themes of race, health, and sexuality. As she passionately echoed her series of poems across the venue, she had to wipe lipstick off the microphone. Her poetry is deeply personal and unfiltered, compared to her day-time educator role at McGill University as an Equity Education Advisor, specializing in anti-oppression and anti-racism education. Nicole brought up a question that she has attempted to grapple as an educator, “What does it mean to sit in that discomfort? To be open to what’s on the other side?” She believes there should be room for people to discuss and listen to difficult subjects. With her extensive background in education, she started leaning towards poetry in 2015. The poet and educator made sure to emphasize that the subjects and themes within her poetry have been around for a long time. “[…] Everything I’m talking about, none of it is new. All the people before have been discussing, challenging, fighting that same fight,” Nicole explained. 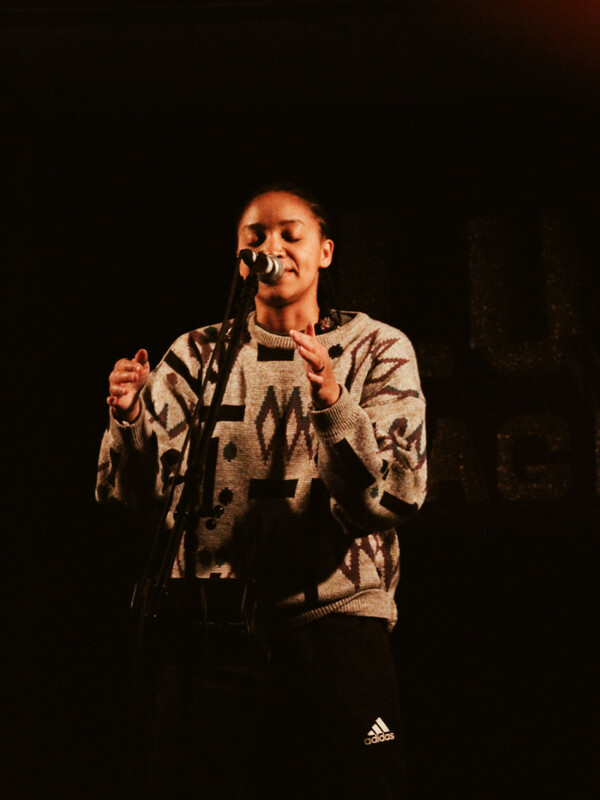 The spoken word poet also said that she hopes to continue having an impact through her poetry. “I feel that [impact] in the room and I also feel that in my body.” she said. Next up was Janette King, a producer, vocalist, multi-instrumentalist and DJ. As she transmitted her soulful vocals, bodies began to move with King’s tune. As the singer played her set, her house up-tempo beat with an R&B blend spread positivity and good vibes. She said that she only hopes to touch more people. According to King, her music attempts to touch the heartbroken. After being approved by the Lux Magna board and processing a full-recruitment of Montreal artists, Lawrence managed to host and execute the event. The evening materialized into a space where the raw talents of women of colour went noticed. “I believe we become stronger as a society when we include rather than exclude,” Lawrence said.